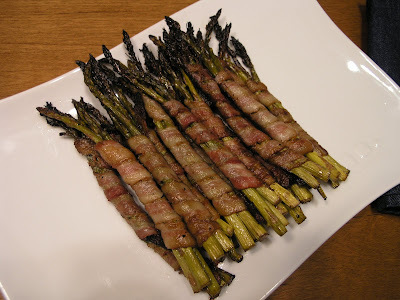 Last night I tried hiding asparagus with bacon. I had heard about this many times and thought I would give it a try. Grill it with turkey bacon for lowfat. They boys loved it! Yes!!! What else can I disguise?